Oliver C. W. Kowert started Kowert Real Estate in June of 1944. The first name of the company was Kowert Exchange. This name was derived due to the business that Oliver was known for before he became a Real Estate Dealer, (Real Estate Brokers were called Dealers in the 1940's). Before this Oliver Kowert was a merchandise salesman, selling anything from pianos to washing machines and refrigerators. At this time people had very little money so the bartering system was used. Every morning Oliver would load his truck up with merchandise, he would then drive through the country and "Exchange" this merchandise for other goods such as cows, chickens, sheep, goats, or other re-saleable items. So when he opened his real estate office the name Kowert Exchange was used because people in this area knew him as someone who would trade for just about anything. Kowert Real Estate has come a long way since then. Oliver was joined in the business by Oliver J. Kowert, better known in this area as O.J., (just a side note : He was known as O.J. long before the one in California was famous.) O.J. 's wife, Irene, then became licensed in the 1960's. In 1977, their son Romney Kowert became licensed and joined the business. 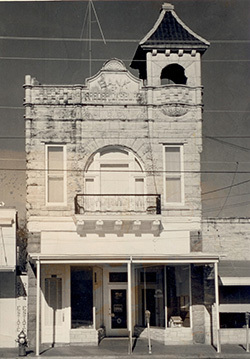 In 1980, Romney obtained his Real Estate Broker's license and at the time became the youngest Real Estate Broker in Fredericksburg. In the early 1980's Romney started a property management company and is continuing to operate it today. Of O.J. and Irene's five children, three have worked in the family business. In 2004, O.J. 's granddaughter joined the team, and so it seems to be in their blood, with four generations having worked in real estate. Today O.J. And Romney Kowert are the principal Brokers and owners of Kowert Real Estate. O.J. And Romney are joined by a team of great salespeople. We are ready to help you with your real estate needs! We invite you to drop by and visit with our friendly sales staff and discuss your real estate needs. We are involved in all areas of the real estate market, residential, commercial, farm and ranch and property management. Thank you for visiting our web page and we hope to hear from you soon.